Do you have a flat roof that needs some care and attention or some flat roof repairs? Call us at ProRoofing for a free quote. We are a professional and experienced company that can address any problems you might have. Call 01202 518 763 today and we can help you solve your issues quickly and professionally. It is vitally important that repairs for flat roof problems are carried out as soon as possible. The last thing you need is for water to be streaming through the gaps in your waterproofing layer and making a mess of all your possessions. Because of the nature of a flat roof, a leak can be an issue many months before it is actually noticed within the home itself. To protect yourself it would be wise to get a professional opinion, and then repairs can be implemented before your personal possessions and home are ruined. If repairs for flat roof issues are because the covering has split, then this can be caused by stress or pressure on the felt or even poor workmanship. Blistering, on the other hand, will occur if air is trapped between the layers of felt. Heat causes air to expand, and this can create a blister in the felt that may break. In both these cases, the roof is no longer waterproof, and moisture can seep through to the room below. We can fix both of these professionally so that you can ensure the waterproof seal is renewed and will not let in any moisture. A flat roof issue that is caused by ponding will have come about after a longer amount of time. The pools of water that do not drain will eventually cause a problem. It is possible to fit a pump, but that is a very short-term solution. We can show you a number of alternatives to remove your ponding, including a long-lasting resolution in the form of sturdy, fibreglass covering. 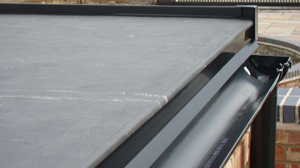 Our service is second to none, and the repair work we carry out on any flat roofs that require it is excellent. We always adhere to all rules and planning regulations in order that your safety is not compromised. 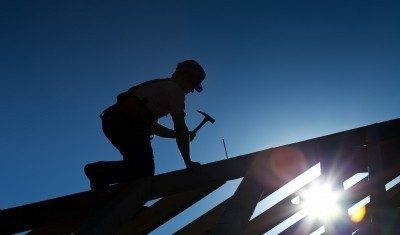 We can supply the expertise to fit all of these methods and the knowledge that ensures we recommend the right one for you and your specific building. We have over thirty years in the roofing business and are capable of completing a flat roof repair to exacting standards. Whatever your need for our professional services, our highly qualified staff are up to the challenge, and they all hold fast to health and safety regulations at all times. As an added comfort for your peace of mind, and because they are working in your home, they are also all CRB checked. Any flat roof repair that we carry out will be governed by our Environmental Policy. We are committed to having as little impact on the environment as possible when we carry out our roof repairs. This means minimising waste and conserving energy where possible. All in all, our excellent customer service and high-quality workmanship ensures that you will be happy with the roof repair system you choose, and with our ability to install it efficiently and professionally. If you need a flat roof repair, you won’t do better than calling ProRoofing for a free, no-obligation quote. Contact us on our website or phone us on 01202 518763; we can’t wait to help you.